Overwatch: Mei Has So Much Potential. Why Isn't She Popular? 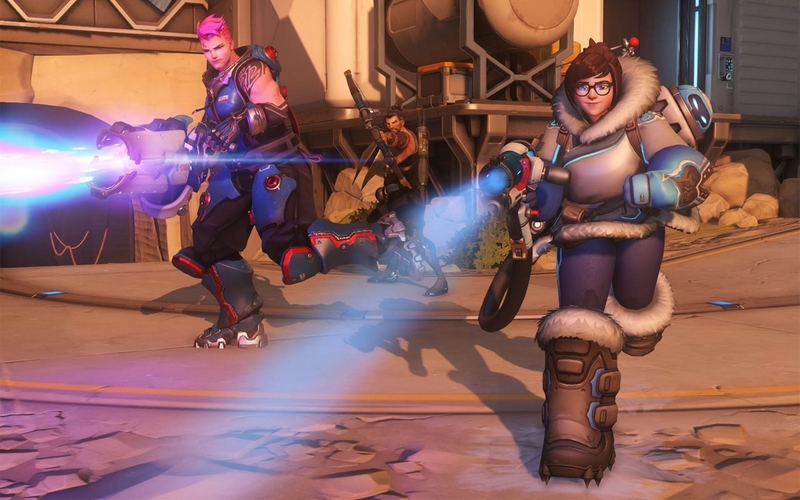 Mei is one of Overwatch's most unique Heroes yet she's unpopular. Why is this and is she really so bad? Mei is my favorite Hero in Overwatch and based solely on how often I see others play her, I’d say she’s one of the least popular. In comparison to SMITE where Ymir continues to shine, despite a similar kit Mei doesn’t really appear to be favored amongst the playerbase or competitive teams. I think that’s a real shame as she has huge potential and I’m often very successful with her. While I appreciate much of my evidence for her popularity is anecdotal, one only has to look at the competitive scene to see her absence. Unsurprisingly these compositions tends to filter out to other players and how they view such Heroes and in Mei’s case, she’s seldom seen. Mei might look cute, but she will royally ruin your day if played well. What I’ve often found, certainly from my observations of others playing Mei, is that they play her far too defensively: they don’t utilise her strengths in close quarters or the flanks. They’ll simply stand in front of the oncoming enemy, drop some walls and poke from afar. If she’s played aggressively, ensuring she separates the enemy team while regularly harassing, she’s incredibly effective. Well timed management of her skills can also regularly ensure that you’ve at least one defensive skill available, without factoring in your ultimate. I’m not in any way suggesting those who’ve tried to wield Mei in the current meta are poor players, but I’ve often found that any meta is purely mentality with teams regularly copying one another until someone finds a use for X or Y Hero. In this case, I’m not entirely convinced teams have given her a fair shot. Some friends and I recently ran a twin-Mei composition and it was incredibly effective when alternating Walls. Considering the speed at which we could also charge our Ultimate, we regularly had them available and held enemy teams back singlehandedly. What I’d like to see when it comes to improving Mei (I do feel she needs some tweaks) is to slightly reduce the cast time on her RMB, but to also make it so once her wall shatters, an ice field is left on the floor for several seconds (similar to Ymir) that slows enemies. Finally, I’d slightly tweak the range and freeze time on her LMB so that it’s just a tiny bit longer and quicker. Other than that, I think she’s in a good state but simply needs to have teams willing to play her and try to think of ways to fit her into their compositions. What do you think of Mei? Do you think she is deserving of a place in Overwatch compositions? Let me know.